The Jefferson Parish Economic Development Commission (JEDCO) is an independent, yet complementary arm of Jefferson Parish government with the main objective of attracting, growing and creating new business in our area. JEDCO's mission is to drive wealth creation through entrepreneurship, quality jobs and investments. We are committed to helping businesses thrive in Jefferson Parish. While dedicated to assisting Jefferson Parish businesses, JEDCO's efforts also target the recruitment of new businesses for the area. For more information, please call 504-875-3908. Description The debut of a state-of-the-art facility in the Churchill Technology and Business Park emphasizes continued growth and success on the West Bank of Jefferson Parish. 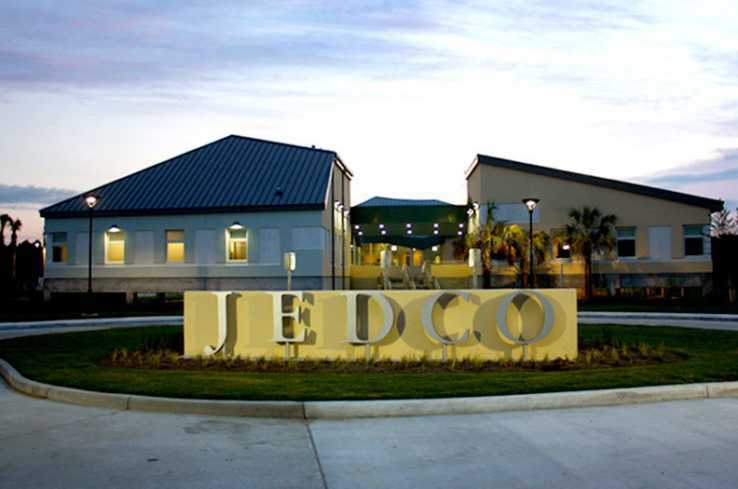 The Jefferson Parish Economic Development Commission (JEDCO) hosted the grand opening of its brand new Conference Center Thursday evening. The newest building to open in the technology park, the JEDCO Conference Center was designed with the local business community in mind. The conference center was developed to serve the future tenants of the Churchill Technology and Business Park, providing high-end event space for training, recruitment and corporate meetings. 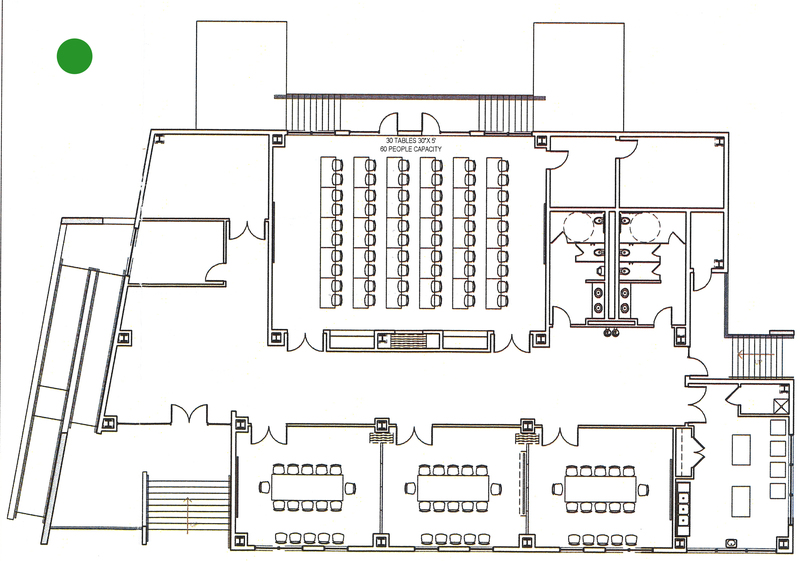 The 8,000-square-foot space can seat up to 150 people and offers a variety of configurations to meet the needs of any business. The facility has an ample supply of audio/visual equipment for use and a full-service prep kitchen. Additionally, the JEDCO Conference Center is home to ten pieces of Michalopoulos artwork, generously donated by Jack and Jerri Stumpf, Pat and Henry Shane and the Michalopoulos Gallery. Not only will this new facility provide a first-rate event space for the West Bank community, but also it will serve as an attractive feature as JEDCO continues to market the Churchill Technology and Business Park to prospective companies. Located on the burgeoning West Bank, the Churchill Technology and Business Park is the largest master-planned site in the Greater New Orleans region, boasting 500 acres of developable land. It sits just 20 minutes from downtown New Orleans in the largest intermodal transportation system in the South, ideally situated to meet the demands of a diverse range of industries. The Park grew out The Jefferson EDGE, the parish’s comprehensive strategic plan to improve quality of life and business in the community. Tasked with encouraging technology development and attracting high wage industries to the region, JEDCO identified a need for a business and technology park. The organization has worked in cooperation with the Parish and local landowners for fifteen years to bring the park to life. Today, the Churchill Technology and Business Park is home to the JEDCO administrative offices, the Business Innovation Center and the Patrick F. Taylor Science and Technology Academy, a regional magnet school. Delgado Community College recently announced plans to build its River City and Advanced Manufacturing Campus in the Park. Efforts continue to attract new business to the park. 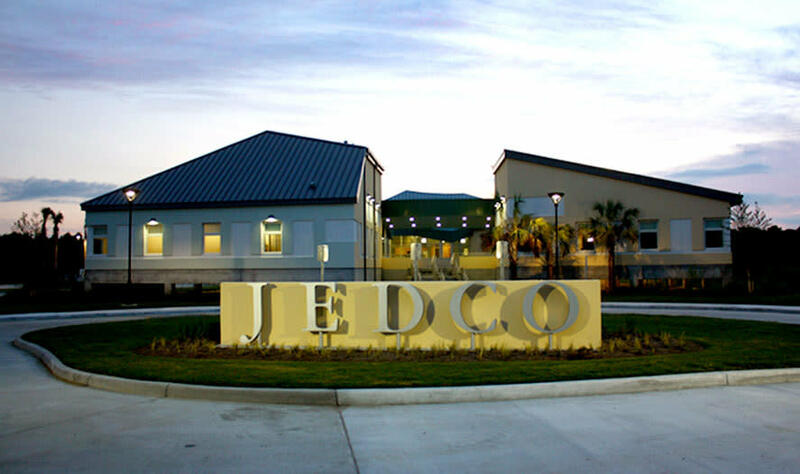 If you are interested in hosting an event at the new JEDCO Conference Center, call (504) 875-3908 or email Scott Rojas at srojas@jedco.org. Space Notes High-tech services are standard in the JEDCO Conference Center. Wi-fi hot spots are located throughout the facility, making communication easy for your guests. Teleconference services are available as needed. Other amenities include digital monitors outside meeting spaces, providing news headlines, up-to-date information on facility events and any customizable information that pertains to your group while on site. There is also a business center, offering a variety of services, including copying, printing and scanning. 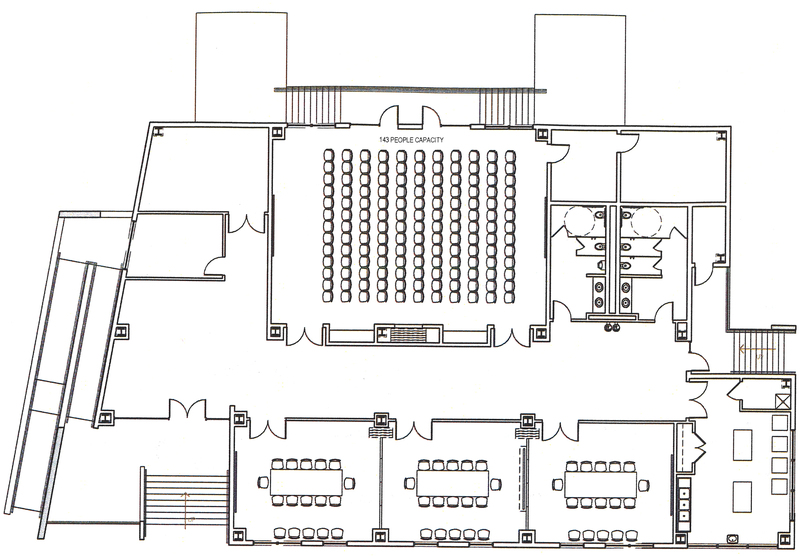 The JEDCO Conference Center offers turnkey event planning with full inhouse equipment to bring your event to fruition.